St. Mary and All Saints in Droxford is an attractive early Norman church still bearing many features of the mid- to late-12th Century. 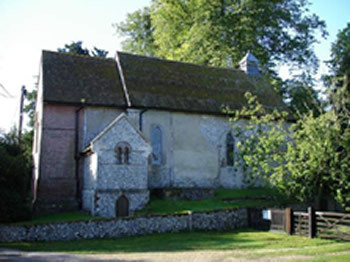 The church was enlarged by the addition of the north aisle in the late 12th Century and the south aisle in the 13th Century, and is Grade 1 listed. 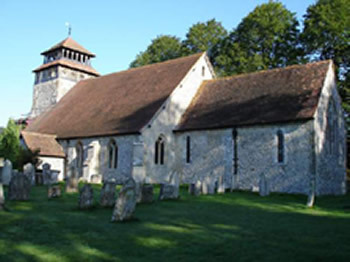 In 2014 the tower and other parts of the fabric were in urgent need of restoration and the church was listed by English Heritage on the ‘at risk’ register, but thanks to a Heritage Lottery Grant of £220,000 and to the hard work of the Friends of Droxford Church (FODC) and support from the PCC and congregation, much of that remedial work has been undertaken. From the outset the Friends’ objectives were not only to raise funds for restoration, but also to enhance the facilities to make the building more fit for purpose. 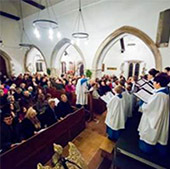 The Friends have successfully appealed to a wide range of people who are not church-goers but care passionately about their village church and its heritage, and want it to be at the centre of our community. Our successful application to the Heritage Lottery Fund (HLF) in January 2016 was predicated on the need for a kitchen and toilet facilities. However these new facilities – none exist in the church today – were not eligible for funding under their then grant scheme rules. Therefore a comprehensive Business Plan was launched for the Community Hub and Heritage Centre with a budget of £300,000. The existing congregation is not large enough to sustain the church building and discussion with community stakeholders in the village has confirmed the value of the church as a community venue: using the full capacity of the building (c.250) for secular and religious events; and also a requirement for a community room in which committees, councils, discussion groups, and social care groups (c.12-25) could meet in a comfortable environment. The focus of the Community Hub and Community activities will be a volunteer-run Café in the church, and a provisional rota of volunteers has been drawn up. For more information about Wilfrid’s Café and the Community Hub visit our website. 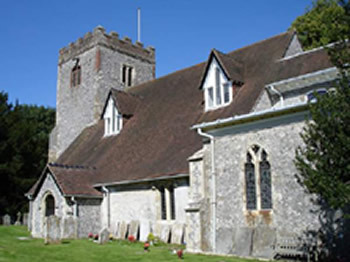 We have identified an additional opportunity for a permanent Heritage Centre to facilitate the growing interest in Local History, beginning with the re-discovery of the Meon Valley Saxon heritage, and through the building of the Church in the 12th Century, up to the historic D-Day meetings of Churchill and the Allied Commanders at Droxford Station in June 1944, whose 70th anniversary we celebrated last year. 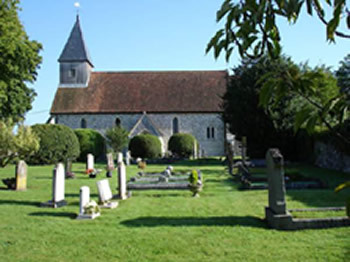 By presenting the church as a focus for the interpretation of our heritage we will enable more visitors of all ages to explore and engage with the church itself, the history of Droxford and the Meon Valley area. We are working with an experienced Heritage Consultant to help us define how we should interpret and display our heritage. The Heritage Project has the support of the HLF and the South Downs National Park Authority. 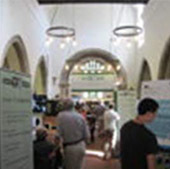 Our plans for the church have received widespread support from the community, including the Droxford Parochial Church Council, Droxford Parish Council (including the Parish Plan Group), Hampshire County Council, South Downs National Park Authority, our Winchester City Councillor, Droxford Junior School and Droxford Country Fair. Our prime contractor, R J Smith, has completed the second phase of the Community Hub Project funded by the Heritage Lottery Fund, the Parochial Church Council and the Friends of Droxford Church (FODC). The next phase will be the installation of glass screens in the North Chapel area in late February. This enclosure will create the space for a Community Room and Café in the north chapel. The Heritage group coordinated by Michael Chandler plans to arrange a further public consultation meeting in late March. For further information concerning the heritage activities please contact Michael Chandler on 01489 878741 or email mjchand110@gmail.com. Planning continues for the Community Hub extension to house essential facilities i.e. kitchen, toilets, storage and administration. This is an essential condition of the Heritage Lottery Fund grant, and has received outline approval from the Diocese, Historic England and SDNPA. 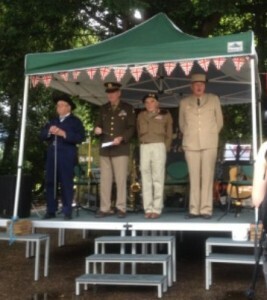 The project is supported by Hampshire County Council which has awarded up to £75,000.